Not all Canadian banks will process deposits directly to international online casinos. While we can’t cover every independent bank and credit union here we can help players understand the ins and outs of casino banking with the ‘big five’ financial institutions in the country and reveal some simple ways to get your money into and your winnings back out of online casinos using any Canadian bank account. Online gambling has been a provincial or territorial matter since 2009 so there are no laws at the federal level that restrict players from visiting or playing at offshore casinos. None of the provinces or territories have created any laws to prevent citizens from depositing and playing internationally either. However, one of the big banks will only process payments to and from Provincial Lottery Corp casinos – that bank is the Bank of Nova Scotia (Scotiabank). Due to a U.S. law, the Unlawful Internet Gambling Enforcement Act of 2006 (UIGEA) major banks such as Chase, with headquarters in America, are not able to process any gambling funds for international online gambling. Scotiabank will only process transactions to online gambling sites operated by a Crown Corporation such as EspaceJeux.com for Quebecers, PlayOLG.com for Ontarians, and PlayNow.com for players in British Columbia and Manitoba. However, please read on if Bank of Nova Scotia is your financial institution, there are alternative funding methods which will be discussed below. CIBC reserves the right to not process gambling transactions, as seen in their credit card agreement 3.i which states “Prohibited Use of Card. CIBC may block transactions that it can identify as internet gambling.” However, most transactions go through without a problem and there are other ways to access your CIBC funds for online gambling as we’ll see below. The RBC credit card agreement also states that they can prevent transactions connected to Internet gambling. However, many of the methods discussed here will enable use of this card through a third party service. So we can see that the fact only Scotiabank expressly prohibits the use of their Visa gift cards at any online casino not owned or operated by Provincial or Territorial agencies (.PDF), does not mean that you will always be able to deposit directly from your bank account with a Visa or MasterCard if you bank with one of the other major institutions. TD Bank, RBC, and others occasionally reject credit or debit card deposits or withdrawals. One of the most direct methods of funding your casino account from a Canadian bank is to use an eCheck/ACH facility. With this method you would enter information found on one of your paper checks and the funds will be deposited immediately. If you already shop online you are probably familiar with using Interac to make purchases. The highly secure funds-transfer method also works for casino deposits and withdrawals and many find it to be the preferred method for online gambling. Most Canadian online casinos recognize that many customers prefer to use Interac as sensitive financial information is not revealed in the process. It’s growth in popularity is making many online casinos recognize it as a must have payment option. Much like Interac, Instadebit is another instant payment method used to transfer funds from your bank account to a casino or other online merchant. You can also cash out your winnings via Instadebit. 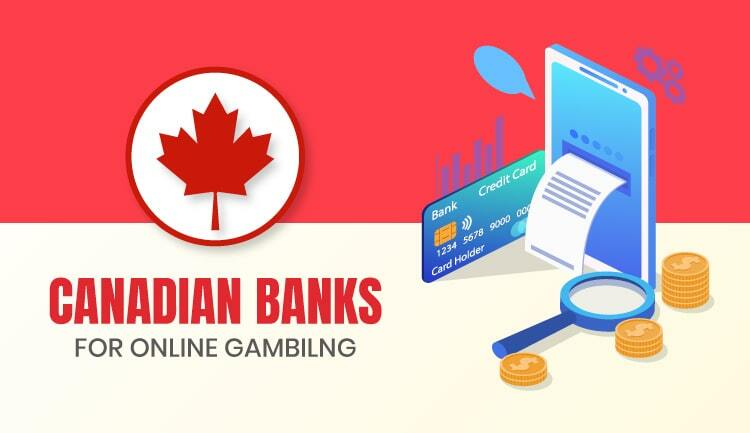 Since the facility works as an intermediary, your bank will not know that you are transacting with an online casino, so even Scotiabank and small credit union customers can use this method at any online casino that offers it. 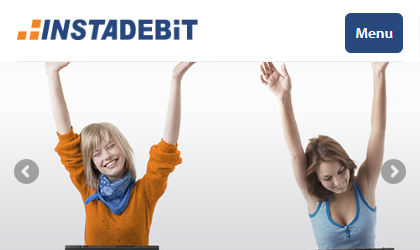 Offers instant deposits as well as withdrawals from any Canadian bank account. Players don’t need a credit card to use these services and your bank will not be aware of your transaction partner. Your funds remain at your financial institution until you transfer them. Deposits are transacted instantly but withdrawals may take a few days to process. While most players around the world can only use this method for deposits, Canadians who are approved for Pre-Authorized Debits (PAD) can also use it to withdraw funds from an online casino. If you see the UseMyBank logo in the casino’s banking section, simply click, enter your banking information, and deposit. The funds will be available instantly and there are no user fees. This is rarely an attractive option for Canadian players to deposit with. Banks may refuse the transaction which can take over a week to be processed. If you have deposited with a pre-paid card or another method that does not allow withdrawals back to it, direct bank transfer is a way to collect your winnings securely. Neteller, EcoPayz, and ClickandBuy are the most popular eWallets available. These are not the same as instant banking which simply transfers funds between banks and casinos using an intermediary service provider. These wallets must first be funded, so they are more like a PayPal account that you need to keep topped off. Once your account has money in it, you can use those funds to deposit. Casinos will also pay out to wallets, and these payments can be instant. You will then need to transfer the money again in order to spend it anywhere that does not accept eWallet transactions. One thing to consider when deciding which wallet to use is bonuses. 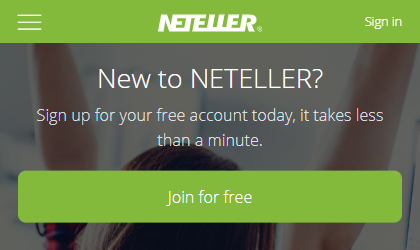 Many Canadian online casinos will not grant a welcome bonus for Neteller. Another thing to consider is availability. You will find more sites that accept EcoPayz than ClickandBuy. Visa and MasterCard, as well as Visa Electron and MasterCard Maestro, can sometimes be used for deposits and/or withdrawals. However, the best virtual card to use for online casinos in Canada is Entropay. It is a virtual card with no physical counterpart, and is accepted anywhere Visa is accepted online. It can be funded with a bank account or even a Scotiabank credit or debit card. Players can convert their funds from CA$ to euro or USD and about a dozen other currencies. While some Canadian banks will not allow the purchase of cryptocurrencies like Bitcoin or Etherium, the major exchanges do allow coin purchases with Entropay.